As some of you know, I run a vendor-focused consultancy, at www.home-truths.co.uk. Through a network of consultants, we provide often much-needed advice and support for those sellers who are struggling to sell their home. As part of the induction process for new consultants, I have a unique three day training programme. Part of that programme is designed to help my consultants present themselves in the very best way they can. We cover old-fashioned topics like deportment, etiquette and elocution. We explore what ‘grooming’ means and I bring in an image stylist to help them understand what to wear, and how to wear it, to create the very best impression to our clients. As a result of this emphasis on personal presentation, I’m always very proud whenever I meet with my consultants: they always take huge pride in their appearance. I once threw a party for my friends at my home, and invited some of my southern based consultants along too. During the evening, a friend said to me, “I can spot your consultants a mile off – they look fantastic! A real credit to you”. 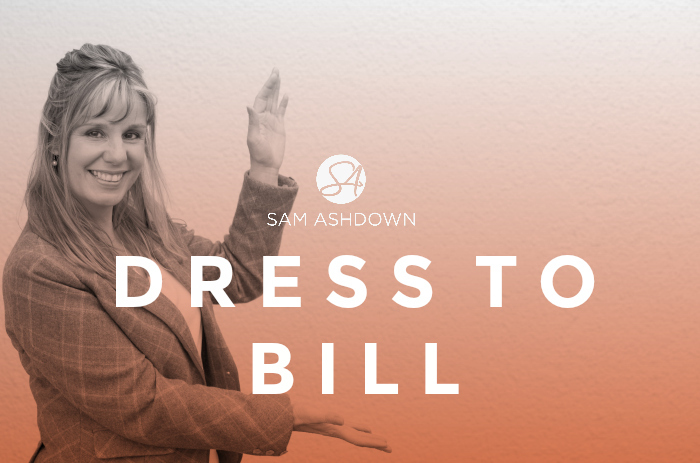 I was delighted to get such wonderful feedback, but reminded myself that this did not happen by accident: the way my consultants dress and act – the whole way they present themselves – is the result of hard work and taking the time to get it right. Image is everything. And we’re all in the image business. The moment aprospective client opens their door to you – whether they are a vendor or landlord – they make a snap judgement about who you are and what values you hold. Just by the way they perceive you. You can moan about not judging a book by its cover, or a sausage by its skin, but we all do it. Take the case of an agent – let’s call him Tom – who turns a couple of minutes late, rushing, arriving flustered on the vendor’s doorstep. He’s wearing a cheap suit that could do with a dry clean, a shirt that isn’t quite as white as it once was, and a novelty tie his mum gave him in 1982. Looking down, his shoes haven’t been polished in a while and his hair could do with a cut. Oh, and he’s hoping the stubble he’s sporting will be viewed as trendy, not that he forgot/didn’t have time to shave this morning. Disagree with any of the above? Now let’s imagine that one of my consultants – Jane – rings the doorbell, exactly on time. She is calm, having arrived a few minutes early, and parked around the corner to prep for her visit. She is dressed smartly, wearing a good quality jacket, and her shoes are polished. Her make-up is carefully-applied and the overall impression is of someone well-groomed. She greets her client with a big smile and shakes their hand warmly. She has her client’s best interests at heart. Ok, the last point may have been a stretch, but assumptions do take a natural flow, and it is certainly probable, if not assured. You will be judged instantly on the doorstep. The vendor or landlord may even make a irreversible decision about whether or not to instruct you, in that instant. Scary, isn’t it? Before you go to bed tonight, get out ready your outfit for tomorrow. Look at it with a critical eye. Does it say what you want it to about you? Check for marks, hairs: anything that could let you down. Do the same with your shoes, and anything else you’ll be taking. Make sure the whole image says successful and professional. Because that’s what you are – right? But grooming and charm don’t stop at personal appearance. How about that email you sent that had the odd spelling mistake, and no punctuation? Or that text where you couldn’t be bothered to write ‘you’re’ so you instead reverted to caveman text speak, with ‘UR’? Or even the fact that your car hasn’t been washed since… well since forever? Your brand is a precious asset. It tells your future clients who you are, and what you stand for. It’s a short cut for the service they can expect to receive, and the nature of the experience of working with you. Your brand is inherent in everything you say, and everything you do. The perceived value of Tom’s service is much lower if he turns up late, in a dirty car, looking a bit scruffy. Jane, however, is dressed to inspire confidence and to convey expert authority in the way she dresses, speaks and acts. And because of it, she’ll attract a higher fee, and ultimately be more successful. You see, Tom is dressed to discount, while Jane is dressed to bill.